As negotiations over Iran’s nuclear program proceeded in fits and starts, the Iranian government notified the IAEA in January 2013 that it planned to install more than 3,000 of the country’s advanced centrifuges, the IR-2m. More durable and efficient than the IR-1 model, these centrifuges were capable of significantly increasing Iran’s output of enriched uranium. The declaration signaled another step by Iran towards expanding its enrichment program in violation of IAEA Board of Governors and UN Security Council resolutions. 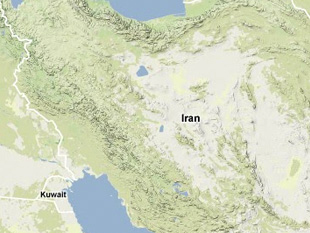 Institute for Science and International Security (ISIS), "Nuclear Sites: Facilities: Natanz," ISIS Nuclear Iran, www.isisnucleariran.org. International Atomic Energy Agency, "Implementation of the NPT Safeguards Agreement and relevant provisions of Security Council Resolutions 1737 (2006), 1747 (2007), 1803 (2008), and 1835 (2008) in the Islamic Republic of Iran," Report by the Director General, 28 August 2009, www.iaea.org. International Atomic Energy Agency, "Implementation of the NPT Safeguards in the Islamic Republic of Iran," Report by the Director General, 6 June 2003, www.iaea.org. "Statement by the Iranian Government and Visiting EU Foreign Ministers," IAEA and Iran, International Atomic Energy Agency, 21 October 2003, www.iaea.org. Daniel H. Joyner, Iran’s Nuclear Program and International Law, (New York: Oxford University Press, 2016), p. 216. "Paris Agreement: Agreement between Iran, Germany, United Kingdom and France," Diplomatic News, Republique Francaise, 14 November 2004, www.ambafrance-ir.org. International Atomic Energy Agency, "Implementation of the NPT Safeguards Agreement in the Islamic Republic of Iran," Report by the Director General, 28 April 2006, www.iaea.org; International Atomic Energy Agency, "Implementation of the NPT Safeguards Agreement and Relevant Provisions of Security Council Resolution 1737 (2006) in the Islamic Republic of Iran," Report by the Director General, 22 February 2007, www.iaea.org. David E. Sanger, “Obama Ordered Wave of Cyberattacks against Iran,” The New York Times, 1 June 2012, www.nytimes.com. Ralph Langer, “Stuxnet’s Secret Twin, Foreign Policy, 19 November 2013, www.foreignpolicy.com. Atika Shubert, “Cyber warfare: A different way to attack Iran’s reactors,” CNN, 8 November 2011, www.cnn.com. “Iran to upgrade nuclear program with faster IR-2m centrifuges to speed uranium enrichment, diplomats say,” CBS News, 31 January 2013, www.cbsnews.com. Kelsey Davenport, “Iran Installs Advanced Centrifuges,” Arms Control Today, 28 February 2013, www.armscontrol.org. “Joint Plan of Action,” 24 November 2013, https://assets.documentcloud.org. “The Iran Nuclear Deal: A Definitive Guide,” Belfer Center for Science and International Affairs, August 2015, www.belfercenter.org; “Section 3: Understanding the JCPOA,” Arms Control Association, 10 August 2015, www.armscontrol.org.